The first major report on water resources in England states that climate change and demand from a growing population are the biggest pressures on the availability of water. Without action to increase supply, reduce demand and cut down on wastage, many areas in England could see significant supply deficits by 2050 – particularly in the south east. The State of the Environment: Water Resources report highlights unsustainable levels of water abstraction, leakage from water companies – currently estimated at 3 billion litres per day – and demand from industry and the public as three of the issues to tackle in order to protect the water environment. "We need to change our attitudes to water use. It is the most fundamental thing needed to ensure a healthy environment but we are taking too much of it and have to work together to manage this precious resource. "Industry must innovate and change behaviours in order to reduce demand and cut down on wastage – and we all have a duty to use water more wisely at home. "With demand on the rise, water companies must invest more in infrastructure to address leakage instead of relying on abstraction and the natural environment to make up this shortfall." The report shows that current levels of water abstraction are unsustainable in more than a quarter of groundwaters and one fifth of rivers, leading to reduced flows which could damage local ecology and wildlife. Previously, unsustainable abstraction has prevented up to 15% of rivers meeting good ecological status – including globally important chalk streams. Summer river flows and groundwater levels may decrease further in the future. Last year the government announced a plan for abstraction reform which will review existing licences and introduce more controls to protect water resources. 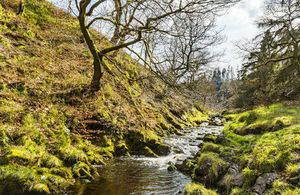 The Environment Agency has started work in four priority catchments to test out new licensing approaches to help meet local demand. Of the water taken from freshwater sources over half (55%) is abstracted by water companies for public water supply and more than a third (36%) is used for electricity supply and other industries. The Environment Agency has urged water companies to pursue ambitious water resource management plans and called on industry to play its part to find ways to use water more efficiently. The government’s 25 year environment plan sets out an ambition to reduce individual water use – on average 140 litres per person each day - by working with industry to set a personal consumption target. The Environment Agency will work with the government to set this target and cost-effective measures to meet it. The Environment Agency plays a key role in protecting water for people’s lives and livelihoods – by responding to pollution incidents, prosecuting offenders, regulating abstraction and improving water quality along rivers and beaches.